I originally published this post 7 years ago. I have no recollection of the specific failures referred to in the first paragraphs here. But I’ve been going through a major rough patch lately, walking out of the big musical enterprise I created and which has consumed me in recent years. Plus ça change, plus c’est la même chose. I believe we each carry with us a propensity for optimism/pessimism, to a great extent regardless of circumstances. I’ve been having a pretty lousy week. It’s included two rejections in creative enterprises where I thought I was in a position to succeed. The first one was a shock and an insult, connected to a project for which I’m overqualified and underappreciated, but which was very convenient and fun for me; the second was the culmination of a long process of positioning myself to succeed at the highest level in a field I care about deeply. The rejection there hits deep and long-range, although the door wasn’t closed for the future. I’m called a creative guy. I’m always getting involved in Projects, usually of an artistic nature. Joining an existing group, often impacting it strongly, sometimes inventing my own gig, either solo or joint venture. I do this regularly and energetically. The people close to me say, “Oh, you’ll pick yourself up and invent something new.” Well, judging me by my record I probably will. Or drinking a little too much scotch. Or reading Ecclesiastes. Or being short-tempered with those near and dear to you. 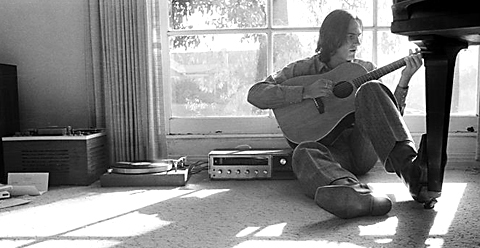 Or listening to early James Taylor. Which is where I was this week, back in James’ first album. James is half a year older than me. 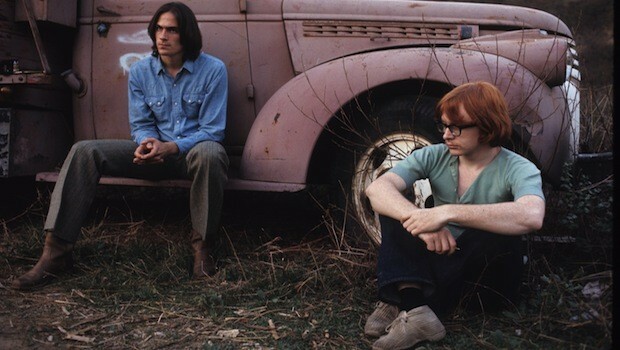 At twenty, I was a confused and rebellious budding hippie from a good Jewish home, studying (well, kind of) in college. He was a disturbed junkie from a patrician home. James’ father was dean of the medical school at the University of North Carolina–Chapel Hill, an alcoholic. At 18, James was sleeping 20 hours a day. At 19 he was institutionalized for 9 months. 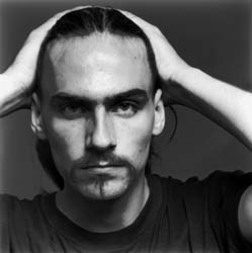 At 20 he had formed a band in NYC and was addicted to heroin. 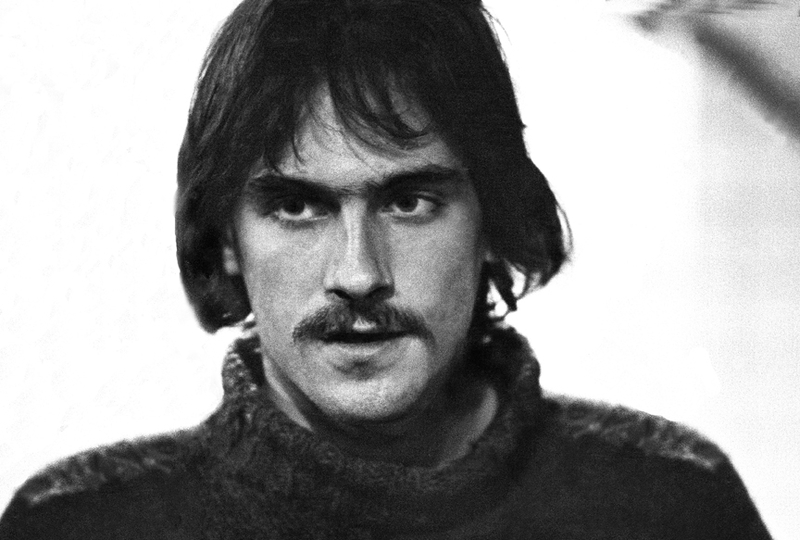 At 21 he was dropping acid in London; became the first artist signed to the Beatles’ Apple label; and recorded his first album, which went unnoticed commercially. At 22, in California, he recorded the seminal “Sweet Baby James”, which included the title song and ‘Fire and Rain’, and single-handedly created a genre still thriving half a century later. But it’s the neglected, overlooked first album that has been such an intimate friend to me all these years, the one I still go back to on days like I’ve been having this week. It’s there that young James first engages the world, and expresses all the bewilderment, the profound disappointment, the discouragement, about this world we live in. I’m no longer 20. But it’s weeks like this where 40 years of experience, inurement, calluses, cynicism, just don’t help. Weeks where the pain cuts right to the bone. 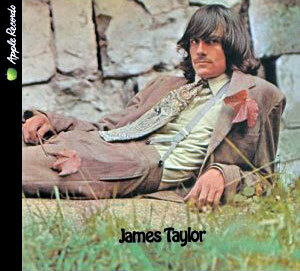 James’ first album is the eloquent soundtrack for that pain. So you put on the headphones, and you put on the album. “Something’s wrong, that restless feeling keeps preying on your mind. Roadmaps in a well-cracked ceiling, the signs aren’t hard to find.” Or “It does you no good to pretend, you’ve made a hole much too big to mend. And it looks like you’ll lose again, my friend, so call on your rainy day man.” And you feel, if you’ll pardon the expression, that you’ve got a friend. The Apple album was highly (many say over-) produced by Peter Asher, formerly of Peter & Gordon (‘World Without Love’, ‘Woman’, both written by McCartney), brother of McCartney paramour Jane, just a couple of years later the producer of the iconic West Coast albums of James Taylor, Linda Ronstadt and others. Paul McCartney played bass on ‘Carolina In My Mind’ (as far as I remember, the first time a Beatle had guested on another artist’s album; it was akin to a god descending from Olympus). ‘Something in the Way She Moves’, one of the most affective love songs I know, clearly inspired George Harrison’s ‘Something’. Listening to the Apple album today, as I have been for 40 years now, I find that the sound really has gotten a bit brittle. The strings aren’t bad, but don’t approach the profundity that the solo singer-songwriter-strummer displays. James’ resilient, warm, resonant baritone that two generations have been so drawn to, is not flattered in the Apple recording. It’s a bit thin, a bit reedy. That being said, the songs are masterpieces of introspection. ‘Something’s Wrong’, ‘Sunshine, Sunshine’, ‘Something in the Way She Moves’, ‘Rainy Day Man’, ‘Carolina in My Mind’ – you can put me on a desert island with those five songs. I might hang myself from the one palm tree. But I’d do it with a smile on my face. Like any well-balanced adult, I try to steer clear of the state of mind where you’re looking deep into the abyss of the meaninglessness of existence. But this week it caught up with me. So while I was wallowing in self-pity, I put on not the Apple album, but an old bootleg cassette I had of a live performance in Syracuse, NY, from February 1970. James had just finished recording the album; I’m not sure if it had even been released. When he introduces the song ‘Sweet Baby James’, no one claps. He was still reveling in relative obscurity. But it wouldn’t last long. The Syracuse recording is quite remarkable. The sound is problematic, but who cares? Everything else is perfect. It includes some fine humor (a Ray Charles Coke commercial and his ‘Hallelujah I Love Her So’, a snuff commercial), some old folk standards, most of the songs from the Apple album in definitive unadorned versions, a couple from the second. It also has a moving treatment of The Impressions’ ‘People Get Ready’, and his reading of George Harrison’s ‘If I Needed Someone’. If it doesn’t move you, someone ought to put a mirror underneath your nostrils. And there’s another song you’ve heard several million times called ‘Yesterday’. It was written by Paul McCartney of the Beatles. He woke up one morning with the tune fully formed in his head, and assumed that he had heard it somewhere. He went to John, George, George Martin – none of them recognized it, but they all thought it was great. Paul wrote tentative lyrics for it just to give it some form. ‘Scrambled Eggs’ was what he called it (“Scrambled Eggs/Oh, my baby how I love your legs”). Way back in SoTW 018, I wrote about a little-known Paul song that I dearly love, ‘Distractions’. I maintained that it was an exceptional song in his oeuvre. Paul’s musicality is legendary, at times divine. “All My Loving”, “And I Love Her”, “Another Girl”. And that’s just the A’s up through 1965. But honesty, depth, soul-searching, have never been his fortes, to put it mildly. At his worst, the Prince of Plastic, the Sheikh of Shallow. At his best, a modern-day Mozart. Even the brilliant “Penny Lane”, a nostalgic trip back to childhood, leaves your heartstrings unplucked (compare it to the flip side of the single, “Strawberry Fields”). It’s just not what Paul does. I caught a lot of flack back then. 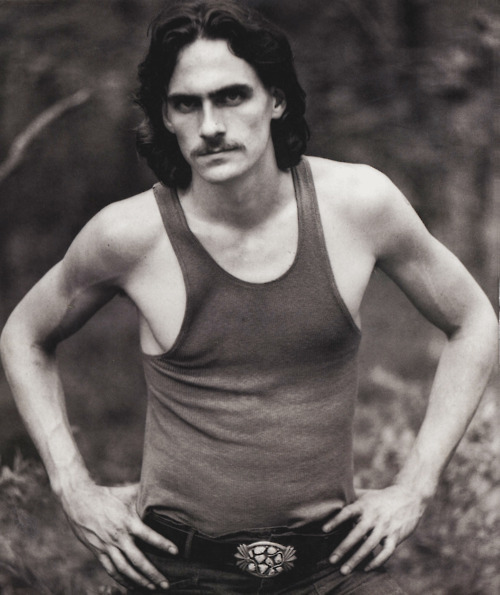 But when you listen to our Song of The Week, James Taylor’s version of that song, you might just see what I mean. It’s been performed an estimated 7 million times, was voted the best song of the 20th century in a 1999 BBC Radio 2 poll of music experts and listeners, and chosen as the #1 pop song of all time by MTV and Rolling Stone magazine. Yawn. You listen to James’ treatment of the song. You tell me which version touches you more deeply. You tell me if you don’t feel like you’re hearing the song for the first time since 1965. The one good thing that happened to me this week was that I sent James’ version of ‘Yesterday’ and ‘If I Needed Someone’ to a few choice friends of refined musical taste. They generated reactions such as “humbled and touched, that was beautiful” and “I have to admit, it’s a lovely touching rendition.” And “I seem to have been missing something in James Taylor”. That’s one of my missions in life, to spread the gospel of great music. I was frustrated in a couple of my endeavors this week, big-time. But I’ve still got James, and I still have some friends on whom I can foist him, so things can’t be all that bad. Can they? 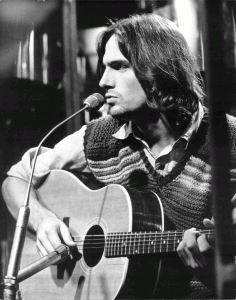 The BBC broadcast a fine live James Taylor performance in 1970, including another Beatles song with a dark, drug reading, With a Little Help from My Friends. http://jmeshel.com/wp-content/uploads/2010/02/Distractions.mp3The Beatles, 40 years in the grave, made a major media brouhaha on 09.09.09 (wow, how cosmic!–just like ‘Revolution #9, how, how—how—meaningless? ), releasing lots of old tapes remastered, remixed, repackaged, and (most importantly) remarketed. I saw there’s also a really exciting (and expensive) new Beatles video game (which Paul admitted he hasn’t seen, so I’m not quite clear in what sense it’s a Beatles product). From the little I read, I saw that George Martin’s son was responsible for some remixing, as he was for the ‘Love’ travesty (which I’m proud to say I haven’t heard more than 10 seconds in passing on the radio). Young Giles Martin said about ‘Love’, “What people will be hearing on the album is a new experience, a way of re-living the whole Beatles musical lifespan in a very condensed period.”Really, what is this world coming to? What ever happened to ‘an artist creates his thing, puts it out for the public, and THAT’S IT‘. He dies. The work stays. Either stays interesting or not. But as for the creative act, it’s over, folks. LET IT BE. The Beatles are dead. They made some 12 and a half albums. Go listen to them and shuddup. You want to be part of a living audience responding to great popular music? Create your own idols. Leave ours alone! You don’t have any that good? Tough. Enjoy what you have. You want to listen to ours? Please, feel free. It’s a wonderful thing to go back in time and become acquainted with the masters. But don’t fiddle with them. Don’t try to recreate them. Respect what they did and leave their legacy as they left it. And for God’s sake, don’t try to resurrect the pitiful, withered old farts that are still touring. Is there someone who really prefers this guy to this one? 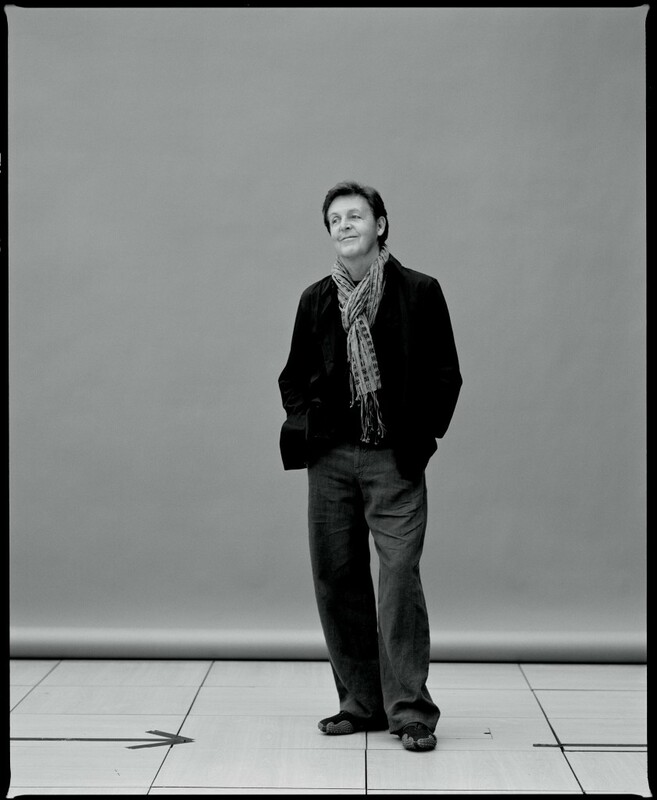 I don’t enjoy bashing Paul McCartney. Or John Lennon, for that matter. But with Paul it’s more of an issue. Because every time he releases a new CD and the kids and DJs and writers start with their “great, stunning, landmark, comeback though he’s never been away” litany, I get that fingernails-on-the-blackboard feeling. But I control myself, usually. I don’t go running down the block shouting “The new CD is crap, Paul is Dead, all you teenie-jerks don’t know what you’re talking about, the end of the world is coming.” It’s not until the eager-faced wannabes shove the CD at me and say, “Oh, you have to hear this, it’s as good as the Beatles” that I start to lose it. I had my Beatles. It was a private issue. I wouldn’t go see the movie “Hard Day’s Night” for months, till the theater emptied of the little girls, and I could commune with The Guys in private, in the dark. “No, actually we’re just good friends.” I loved my Paul, not theirs. Which is why I don’t enjoy bashing him. And it’s also why I avoid listening to Paul’s CDs (and John’s). Because the best of it is so painfully 3rd rate in comparison to the worst of the Beatles. Almost without exception, excluding the aberrations such as ‘Birthday’ and ‘I Dig a Pony’. The only John song I know worth remembering is ‘Instant Karma’; and, of Paul’s ‘Maybe I’m Amazed’ and ‘Junk’. All three are, of course, essentially Beatles songs recorded after the split. With one exception. Out of Paul’s 30something post-Beatle CDs, there’s one song and only one I know that deserves to be visited and revisited. So that’s just what SoTW is doing. “Distractions”, from the utterly forgettable 1989 LP cassette CD “Flowers in the Dirt”. It was a tragic failure, that album. A number of the songs are collaborations between McCartney and Elvis Costello. I remember thinking back then that if anyone could retrieve Paul from his mawkish oh-so-cuteness, it was the cynical, strident, brilliant Elvis C. Remind you of another ex-partner of Sir Paul? 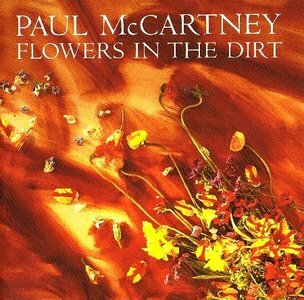 But the album was a lot more dirt than flowers. Just the one rose, “Distractions”, and that’s all Paul. Distractions, like butterflies, are buzzing ’round my head.